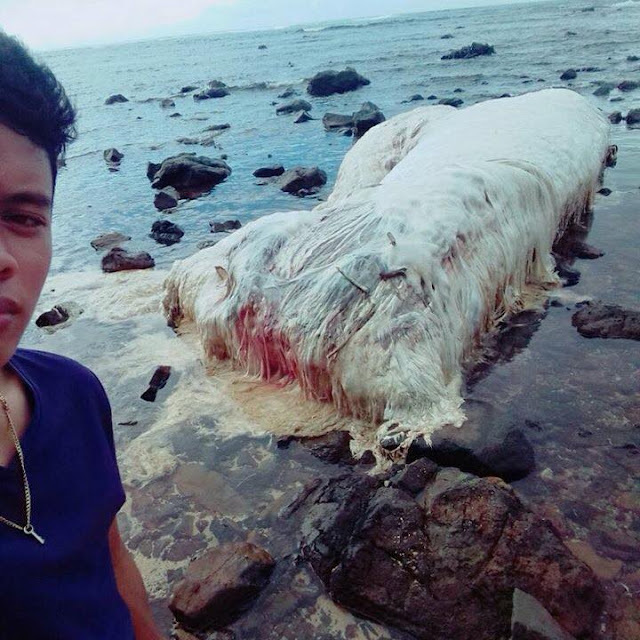 A dead body of an identified sea organism was found along the coast of Cagdainao, Dinagat Islands on February 22. 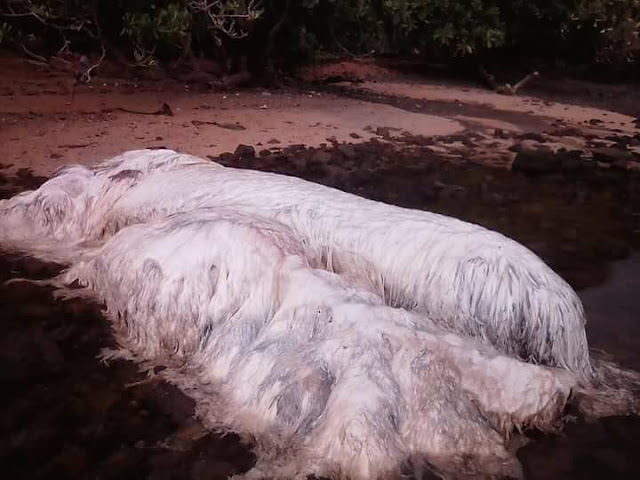 Citizens took pictures of the strange hairy creature and uploaded it on the internet. 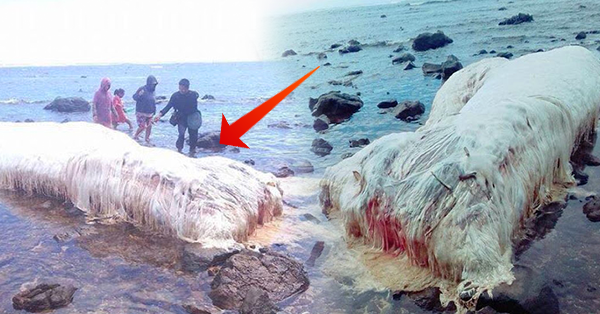 The photos went immediately viral as they caught the attention of many netizens. The creature instills fear of the social media community because of its strange and frightening appearance. 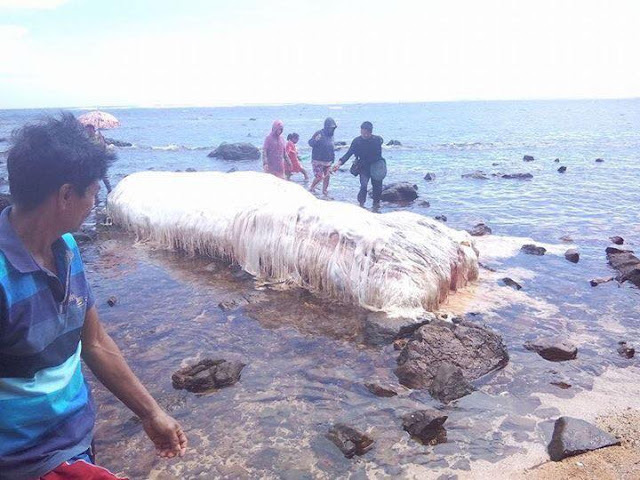 Although there is not enough proof available to identify the strange creature, some netizens claimed that it was a whale carcass. However, since the organism is too hard to be distinguished, some netizens argued that it is a 'lobster'. Globsters are "unidentified organic mass that washes up on the shoreline of an ocean of other body of water".